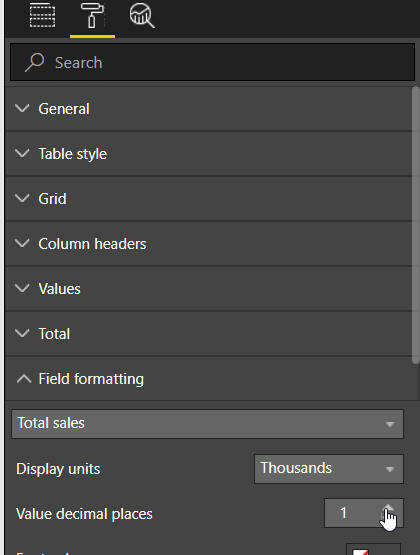 By far the biggest new feature in the March 2018 update of Power BI Desktop is bookmarks (so big, in fact, that it gets a summary treatment in this blog and a separate, longer blog all to itself). I want my total sales to have a thousands separator. How hard can this be to implement? 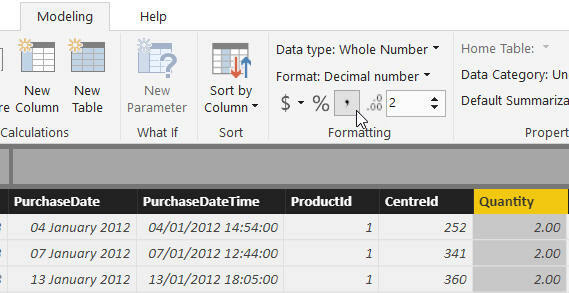 You can choose a column from the drop list, and choose a display unit and the number of decimal places. However, this still isn't what I want to do! Better - but still nowhere near powerful enough, in my opinion. If you go back to Data view you have much more control over how the numbers look.